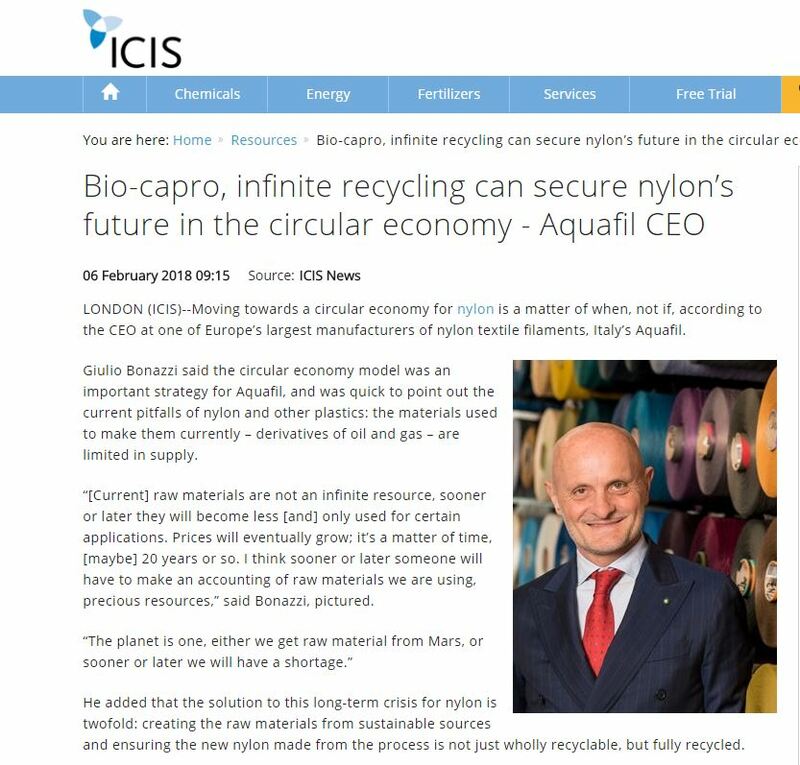 Moving towards a circular economy for nylon is a matter of when, not if, according to the CEO at one of Europe’s largest manufacturers of nylon textile filaments, Italy’s Aquafil. 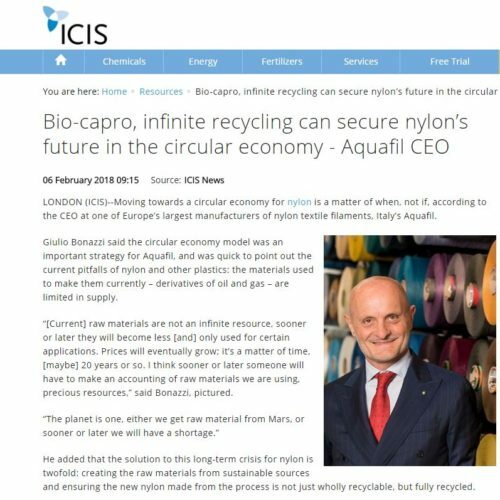 “[Current] raw materials are not an infinite resource, sooner or later they will become less [and] only used for certain applications. Prices will eventually grow; it’s a matter of time, [maybe] 20 years or so. I think sooner or later someone will have to make an accounting of raw materials we are using, precious resources,” said Bonazzi.